CorporateCandi.es :: Customized Corporate Candy by LollyTalk. 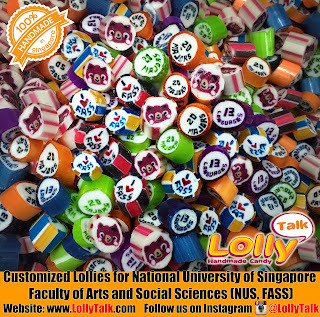 LollyTalk's handcrafted lolly mix for National University of Singapore, Faculty of Arts and Social Sciences (FASS); given out as door gifts during open day! LollyTalk also provides personalised packagings for various marketing needs such as roadshow giveaways, seminar door gifts, celebration gifts and various gifting needs for corporate events. NUS Faculty of Arts and Social Sciences (FASS) is made up of three main divisions, Asian Studies, Humanities and Social Sciences. Within the Asian Studies division, the following subjects are offered: Southeast Asian studies, Chinese studies, Chinese language, South Asian studies, Japanese studies and Malay studies. The Humanities division offers the following subjects: History, English language, English literature, Theatre studies and Philosophy. Within the Social Sciences division, the following subjects are offered: Communications and New Media, Economics, Geography, Political science, Psychology, Social work and Sociology. When it comes to customising lollies for brilliant minds and future leaders, innovative and responsible educators such as National University of Singapore Faculty of Arts and Social Sciences chosen and uses lollies handcrafted by LollyTalk, what about you? 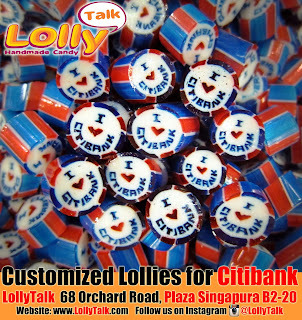 You really have to experience a LollyTalk to know why so many people have chosen LollyTalk as their gifting solutions. 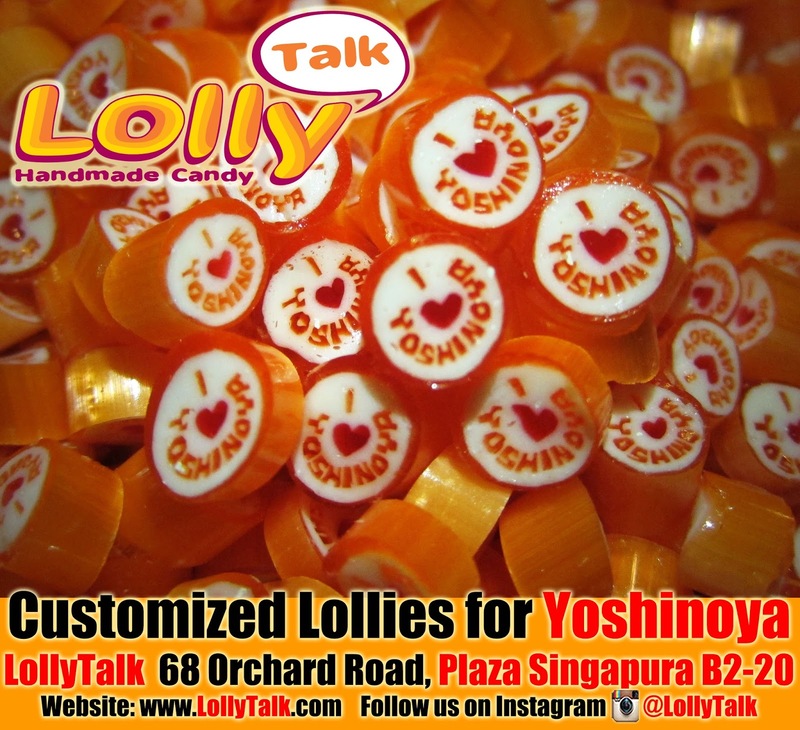 LollyTalk's customised lollies for Yoshinoya for an upcoming island wide event!!! 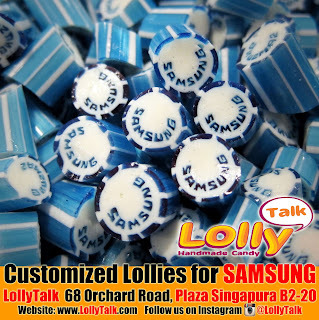 LollyTalk also provides personalised packagings for various marketing needs such as roadshow giveaways, seminar door gifts, celebration gifts and various gifting needs for corporate events. Yoshinoya (吉野家) is a Japanese fast food chain, and the largest chain of gyūdon (beef bowl) restaurants. The chain was established in Japan in 1899. Its motto is "Tasty, low-priced, and quick". It has its headquarters in Kita, Tokyo. 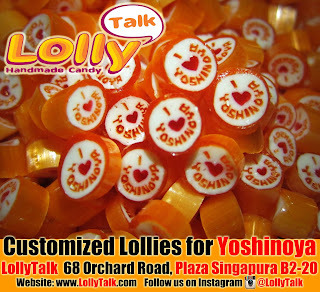 When it comes to customising lollies for marketing purposes, Yoshinoya uses LollyTalk, what about you? 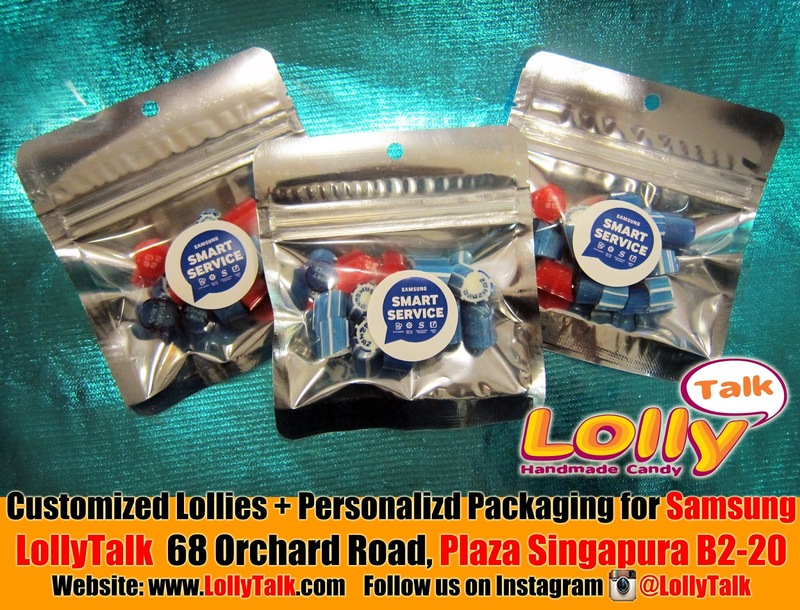 Do visit LollyTalk's flagship retail outlet, located conveniently at the heart of Singapore’s prime shopping district, 68 Orchard Road, Plaza Singapura B2-20. Come and immerse yourself in the complete lolly shopping experience everyone is talking about! 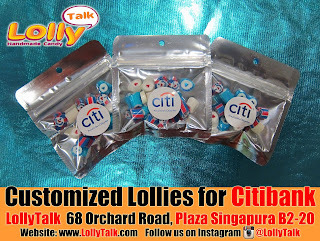 Proud to be a Citibanker Handmade Candy...by LollyTalk! LollyTalk’s handcrafted lollies for Citibank for “Proud to be a Citibanker” event! 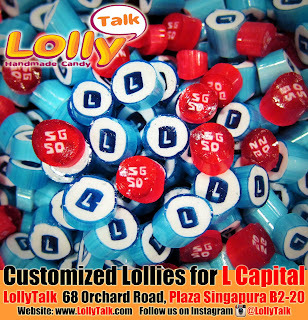 LollyTalk also provides customization for various marketing needs such as roadshow giveaways, seminar door gifts, celebration gifts and various gifting needs for corporate events. Citibank is the consumer division of financial services multinational Citigroup. Citibank was founded in 1812 as the City Bank of New York, later First National City Bank of New York. The United States is the largest single market with approximately 26% of branches, generating 51% of revenues. Citibank’s 983 North American branches are concentrated in major metropolitan areas including New York City, Chicago, Los Angeles, San Francisco, Washington, D.C., Miami, Boston, Houston, and Dallas. Latin America markets make up 25% of revenues, Asia 20%, and Europe / Middle East / Africa 4%. 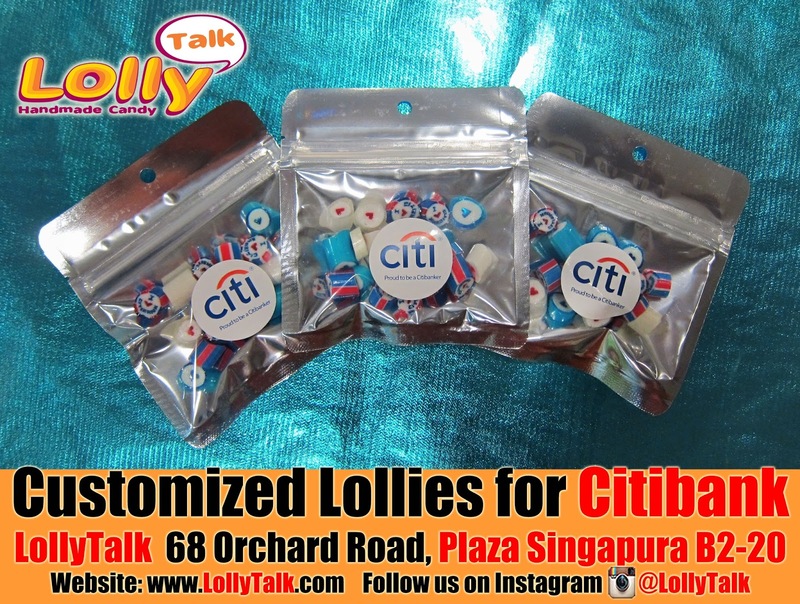 When it comes to customising gifts for well-deserved staff, Citibank chosen lollies handcrafted by LollyTalk. What about you? 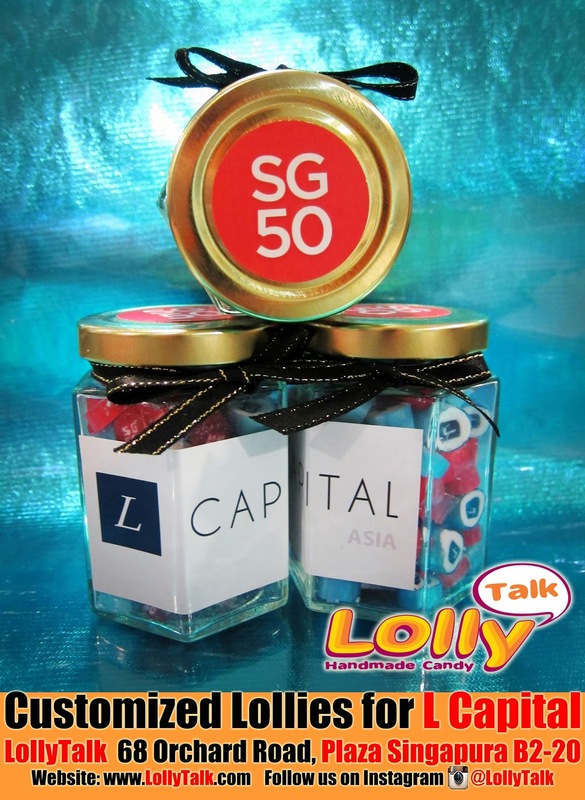 L Capital Celebrates SG50 with LollyTalk Handmade Candy! 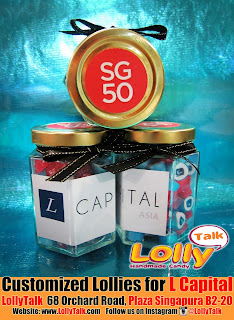 LollyTalk’s handcrafted lollies for L Capital, mixed with LollyTalk’s readily available “SG50 lollies”. 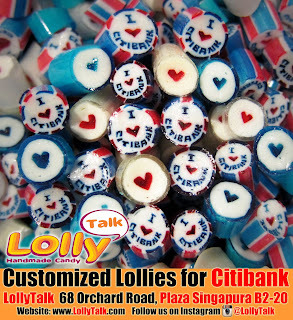 LollyTalk also provides personalised packagings for various marketing needs such as roadshow giveaways, seminar door gifts, celebration gifts and various gifting needs for corporate events. L Capital is a private equity fund created in 2001. The fund is sponsored by the LVMH Group and Groupe Arnault. Its multidisciplinary, multinational team of professionals share a strong entrepreneurial culture and unique expertise in managing companies and brands with high emotional content, able to create a distinctive experience for consumers. When it comes to getting lollies for celebrating SG50, L Capital chosen lollies handcrafted by LollyTalk. What about you? Support Singapore very own handmade rock candy, support LollyTalk. 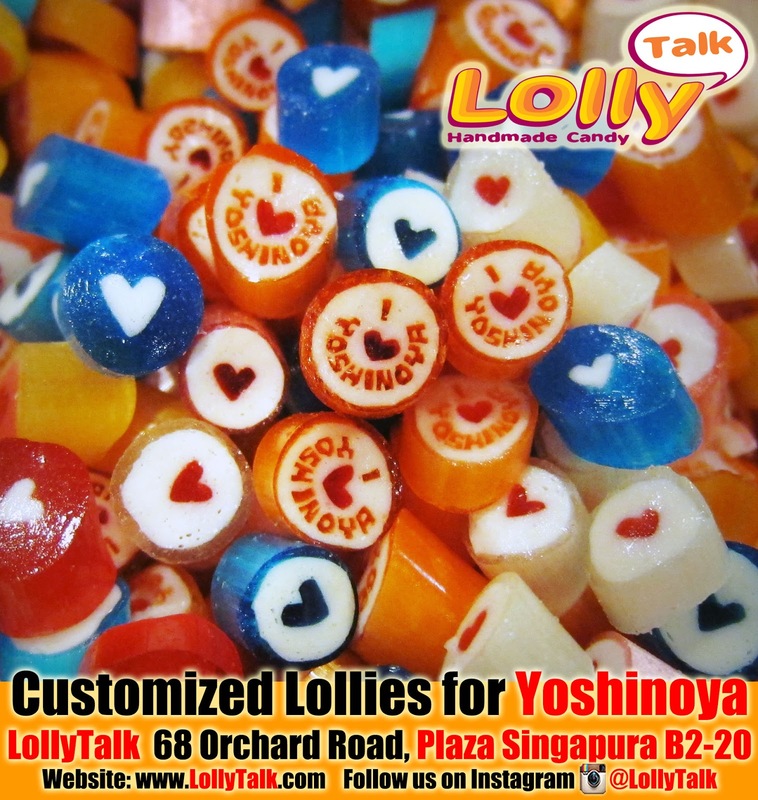 LollyTalk is the ONLY 100% Singapore brand of Handmade Rock Candy that still bringing you a visual feast with live demonstration of candy making in a Singapore retail mall. Together with World’s Greatest Fans like you, we will bring proud to our nation while making this world a sweeter place with our happy lollies! 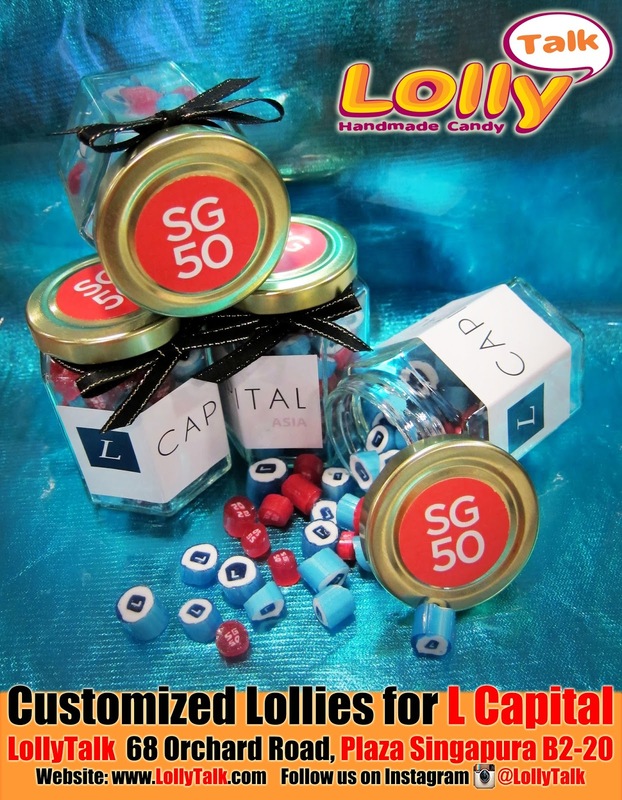 Order your “Singapore & SG50” lollies now. Drop us an email info@lollytalk.com for further enquiries. 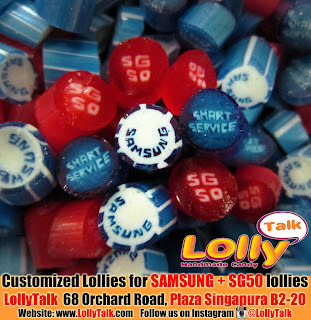 LollyTalk’s handcrafted lollies for Samsung mixed with LollyTalk’s readily-available SG50 lollies. 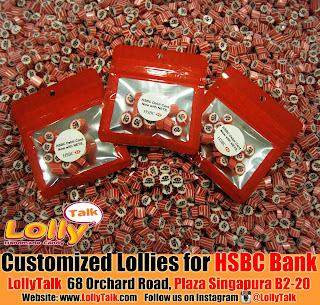 LollyTalk also provides personalised packagings for various marketing needs such as roadshow giveaways, seminar door gifts, celebration gifts and various gifting needs for corporate events. When it comes to customising lollies for various marketing needs whlie celebrating SG50, SAMSUNG chosen lollies handcrafted by LollyTalk. What about you? 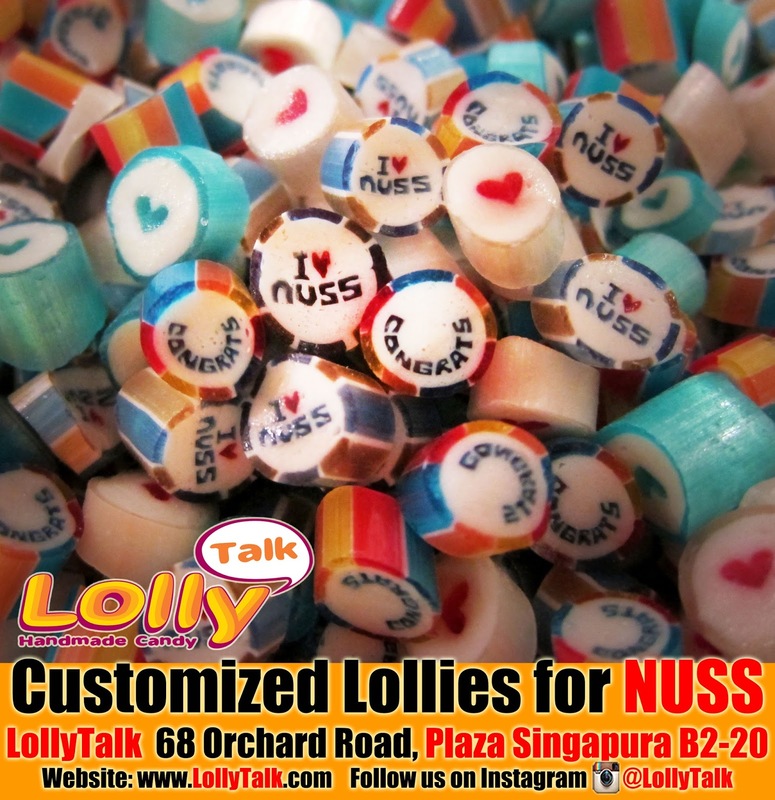 Customised Candy for NUSS given out to graduates... by LollyTalk. 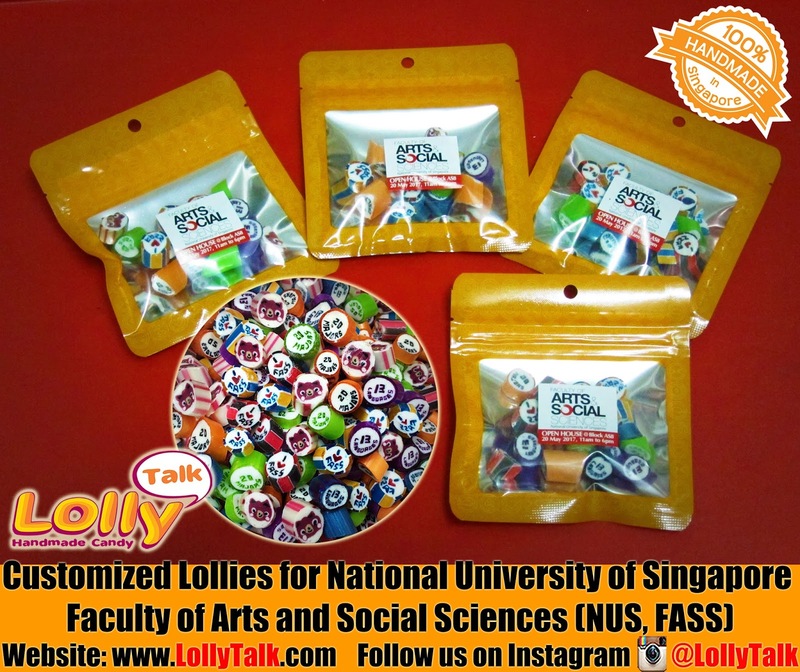 LollyTalk's handcrafted lollies for NUSS, mixed with readily made Congrats lollies, packed into mini ziplock bags and used as a congratulation gift to the graduates. LollyTalk also provides personalised packagings for various marketing needs such as roadshow giveaways, seminar door gifts, celebration gifts and various gifting needs for corporate events. at creates a common meeting ground for graduates from local and recognised foreign universities to network. Membership with NUSS opens up vast networks of opportunities with fellow graduates and professionals who share a common intellectual heritage and experience. With three clubhouses for members, NUSS provides the perfect backdrop for all business and leisure needs, meeting the unique needs of graduates that no other social club can match. To be part of the exclusive graduate circle and enjoy a lifestyle of distinction, email marketing@nuss.org.sg today! 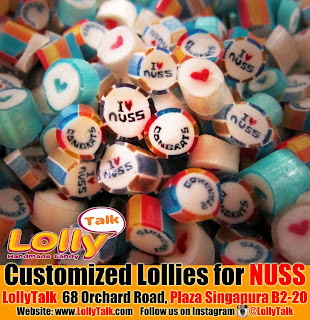 When it comes to customising lollies as gifts for the graduates, NUSS chosen lollies handcrafted b by LollyTalk. What about you? 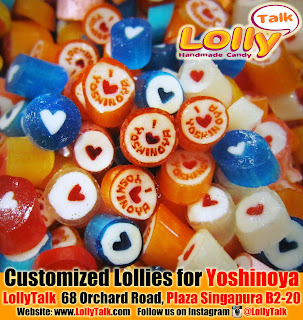 Do visit LollyTalk's flagship retail outlet, located conveniently at the heart of Singapore’s prime shopping district, 68 Orchard Road, Plaza Singapura B2-20. 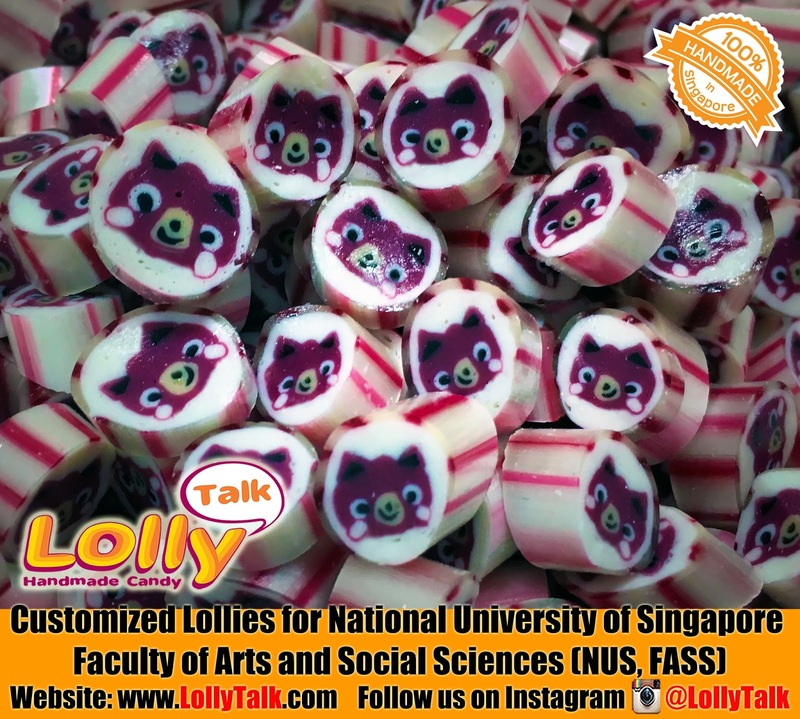 Come and immerse yourself in the complete lolly shopping experience that everyone is talking about! 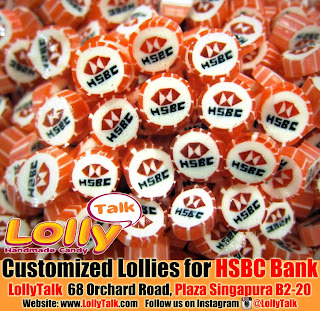 LollyTalk's handcrafted lollies for HSBC Bank. 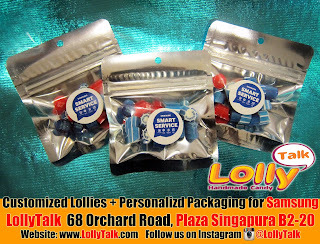 LollyTalk also provides personalised packagings for various marketing needs such as roadshow giveaways, seminar door gifts, celebration gifts and various gifting needs for corporate events. HSBC is a British multinational banking and financial services company headquartered in London, United Kingdom. It is the world's third largest bank by assets. It was founded in London in 1991 by the Hong Kong and Shanghai Banking Corporation to act as a new group holding company. HSBC has around 6,600 offices in 80 countries and territories across Africa, Asia, Europe, North America and South America, and around 60 million customers.As of 2012, it was the world's largest bank in terms of assets and sixth-largest public company, according to a composite measure by Forbes magazine. 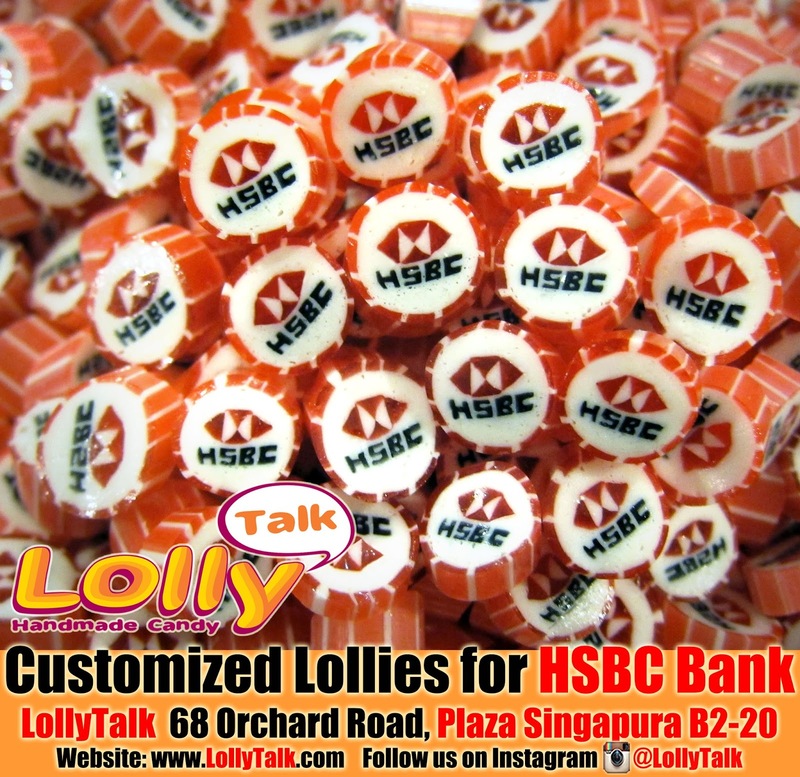 When it comes to customising lollies for bank roadshows, HSBC uses lollies handcrafted by LollyTalk. What about you?